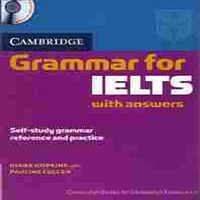 Supplemented with Cambridge Grammar for IELTS and Oxford IELTS Masterclass. I also use supplementary material from a variety of sources to support the course. All teaching takes place in a relaxed home environment with fresh ground coffee at break time during the lesson. Lessons are at least 2 hours but extend to 3 or 4 for intensive teaching and student requirement. Lessons available On-Line using Skype or Google Video Call. One to One lessons are supported with Whiteboard, Laptop and Projector.